Note: A couple of weeks ago, I launched the Financial Literacy channel here on Wealthy Retirement. Under this channel, you’ll be able to learn about investing, saving, budgeting and many other topics. Some will be very simple ideas, others more advanced strategies. Tell me what topics you would like to better understand. No subject or question is too basic, so don’t be shy. We’re here to help you better manage your money, and no one cares more about your money than you. If there is a subject you’d like to learn more about, please let me know in the comments section. If you begin with $10,000 earning 10% interest, at the end of one year, you have $11,000. The next year, your $11,000 earns 10% – so instead of making $1,000 in interest on $10,000, you’re making $1,100 in interest on $11,000. That extra $100 may not seem like much – but watch what happens over time. 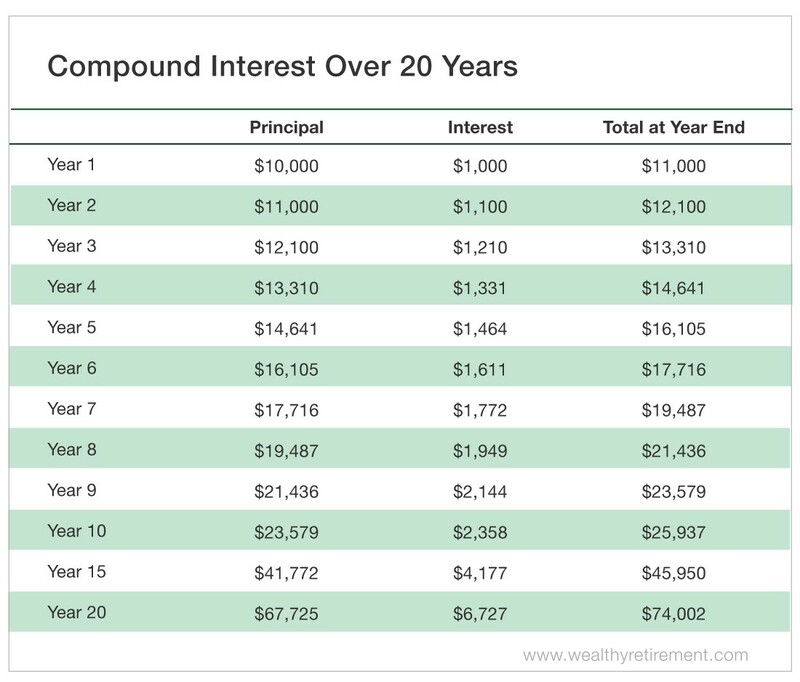 As you can see in the table above, you start out making $1,000 per year in interest – but as you let the funds compound, that yearly interest builds on itself. By year five, you’re making $1,464 in interest – a 46% increase over the first year – and you have $16,105 at year-end. 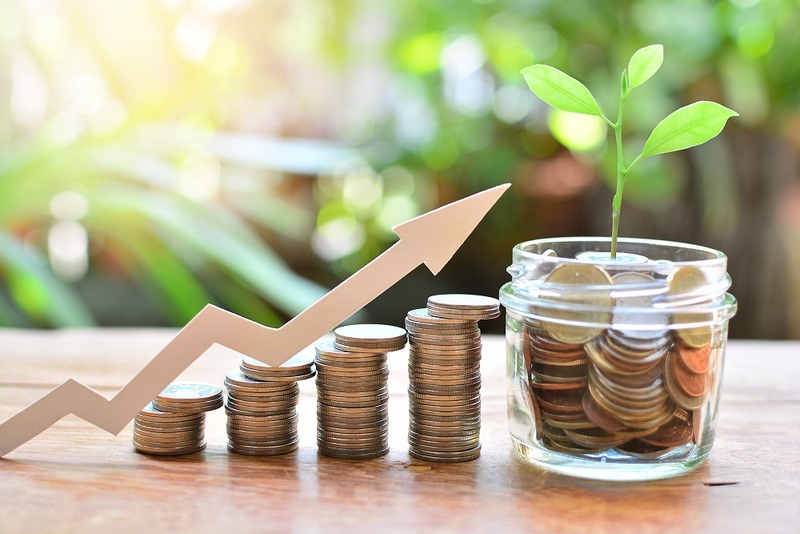 Whether we’re talking about a savings account, an investment account or individual stocks, the longer you can let your money compound, the more money you will make and the more your principal will be worth.